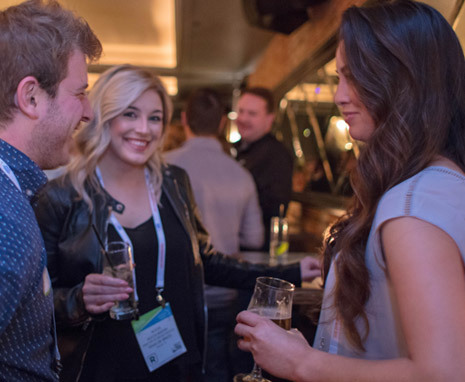 Here’s the thing—The National Restaurant Association Show is THE place to network, learn, and develop your skills alongside other young professionals looking to grow their career in the foodservice industry. Join an exclusive group of up and coming leaders and influencers in a night of celebration. Sunday, May 19, 7:00 - 9:00 p.m.
By invitation only–coming soon. Recommended for 40 and under. Looking to find the latest trends in sustainability, hiring and retention, and workplace culture to keep you on top of your game? Need help starting the search for a mentor to take your career to the next level? Trying to find new ways to put your best foot forward and build relationships? Hoping to grow your resume with techniques from the best chefs and mixologist in the industry? We’ve got you covered with education sessions, demonstrations, and networking meetups specific to helping you grow your career.